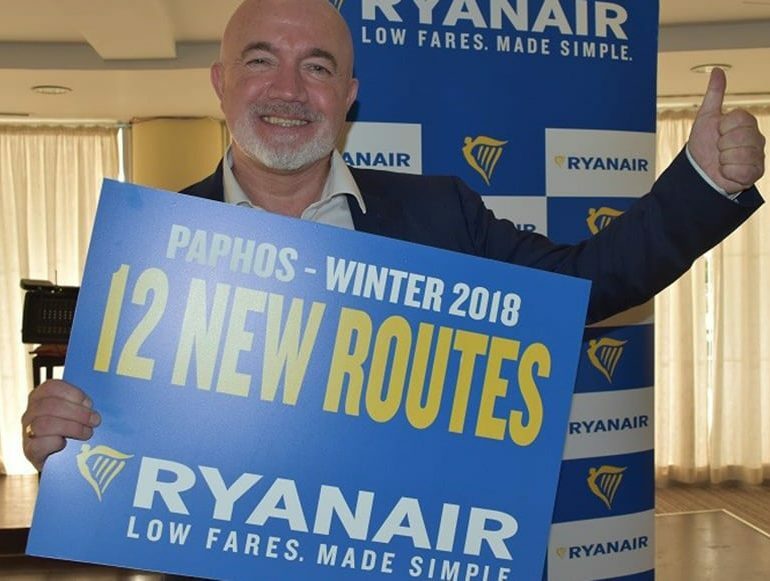 The new routes include Bournemouth and Liverpool and will contribute 940,000 passengers annually as Ryanair nearly doubles its operation in Paphos, Ryanair’s Chief Commercial Officer David O’Brien told a press conference. He told the Cyprus Mail that the increase from three winter destinations to 15 is going to need “an awful lot of effort by the tourist boards”. “This is an opportunity, we’re going to provide the seats and exceptionally low fares but I think the hotels and the tourist board have really got to get the message out there in these cities that this is the place to go and this is how to get here. We look forward to working with the tourist boards to make that happen,” he said. O’Brien said that Ryanair, in keeping with others, has identified central Eastern Europe and the Baltic states as an emerging source of customers and as unemployment has fallen in places like Poland and the Baltic States, he said, people now want to take holidays. “Now is the time for Cyprus to grab this before Spain, Malta and everyone else does,” he said. He said that as more and more hotels are staying open every winter, this is a positive move. The new routes include twice weekly flights connecting Paphos with Amman, Bournemouth, Bratislava, Bucharest, Budapest, Chania (which has been reinstated), Krakow, Liverpool, Riga and Tallinn. Flights will be operated once a week to Dublin and Kaunas. The 15 total routes will also include daily flights to London Stansted, Tel Aviv and Thessaloniki. The increase in routes is expected to generate a total of 700 jobs. Speaking on his way to Berlin for a travel fair, head of the Paphos regional board of tourism Nasos Hadjigeorgiou welcomed the Ryanair announcement. “This brings us a step closer to our ultimate goal of re-establishing Paphos as a year-round destination. We will work together with all the stakeholders to ensure successful coming winter operations,” he said. 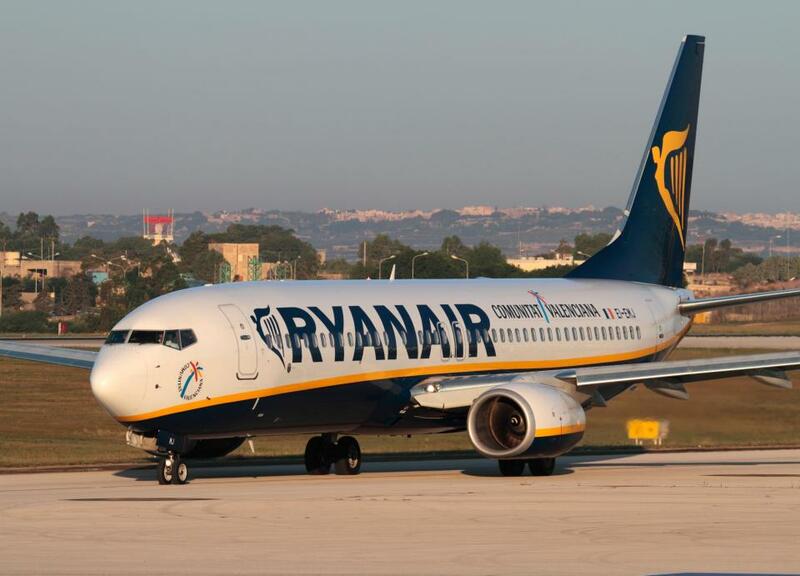 Last year Ryanair had to suspend a slew of flights following what the airline described as a ‘staff holiday rostering problem’. O’Brien said on Tuesday, that the mistake of rostering too many pilots on holiday at the same time was a “screw up” which led to the airline shrinking its winter programme to ensure they would be stable through the season, and this proved successful. “The rostering problem was fixed and there is no problem. We are in discussions with various unions around Europe as part of a new phase of our evolution with a view to recognising unions and individual countries,” he added. Sales and marketing manager for the eastern Mediterranean Nikolas Lardis announced a promotional seat sale for the new flights available until midnight on Friday (March 9). “To celebrate the announcement of the new Paphos winter programme for 2018, we are releasing a new offer at €19.99 for travel until May,” he said. He added that passengers can now make travel reservations up to March 2019, with even lower fares and more travel privileges using the airline’s Always Getting Better programme.